Thanks to Sgt Angelo J. Piecora (Tail Gunner) and his son Joe Piecora; Andy Wilson, son of Cpt Ralph C. Wilson (Aircraft Commander); Hitesh Chitalia, son-in-law of S/Sgt George Fedowich (Radarman). Lt Orwin P. Johnston, Jr. (Bombardier) was replaced by 2/Lt James J. Liszanckie (Bombardier) from Crew #4006. The "White Mistress" after 20 missions. 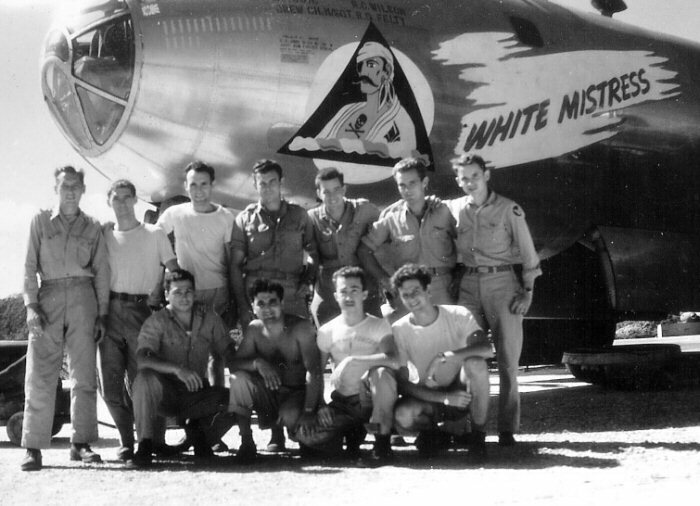 This crew generally flew "White Mistress".